Yokohama Tire’s RB42™ 33.00R51 E-4 radial tire for various rigid frame haul truck applications is now available in multiple compounds – CP (cut-protected) and REG (regular) – so the tires can be customized for specific applications. According to Bruce Besancon, Yokohama Tire vice president of OTR sales, other sizes of the RB42 are also offered in multiple compounds, as well as the ultra-durable RL42™ E-4, another tire made for rigid frame haul trucks. Besides CP and REG compounds, they also are available with CP-S (special cut resistance) and HR (heat resistant) compounds. The two tires share an extremely durable casing featuring steel cord belts that guard against tread punctures and buttress side protection to help prevent snags and cuts. Besides the new 33.005R51 CP and REG, the strong and steady RB42 E-4 is available in sizes 18.00R33 (CP and HR), 24.00R35 (CP, CP-S, REG and HR) and 27.00R49 (CP, CP-S, REG and HR). -- Improved traction on muddy and rocky surfaces thanks to the zig-zag groove pattern. -- Increased resistance to cuts and superior overall wear via large center blocks featuring a nondirectional pattern. 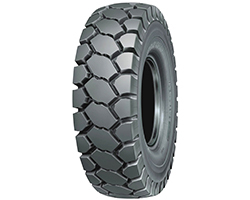 The versatile RL42 E-4 is available in sizes 18.00R33 and 24.00R35, both with CP and HR compounds. -- Longer haul capabilities are a reality because the circumferential grooves effectively dissipate heat to run cooler. -- Better traction and stability is insured by the directional tread pattern that improves self-cleaning. -- Enhanced traction occurs because the deep, wide grooves help expel mud and dirt. For more information of Yokohama’s full line of OTR tires, visit https://www.yokohamaotr.com/.